All transactions are safe and secure with a reliable history in online purchasing behind each of our associates. Buy the Harry Potter Hogwarts Crest t-shirts to own Harry Potter clothing and merchandise. Recreate your own version of Dumbledore's Army with these Hogwarts Crest designs that represent the four Hogwarts houses. Dumbledore's Army refers to the clandestine group that starts meeting in Harry Potter and the Order of the Phoenix after Hermione Granger convinces Harry to teach Gryffindor, Ravenclaw and Hufflepuff students Defense Against the Dark Arts. They meet in secret, and they dub their group "Dumbledore's Army" or "D.A." for short. Wear these or Harry Potter tie tees for unique Harry Potter merchandise, or get a Dumbledore's Army Harry Potter t-shirt or a D.A. hoodie. 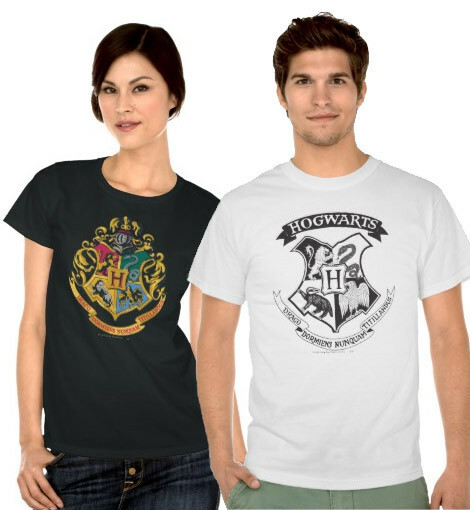 In addition to the Harry Potter Hogwarts Crest tees above, browse the Harry Potter Clothing Gallery for more apparel like men's and women's clothes, kids shirts or hoodies.